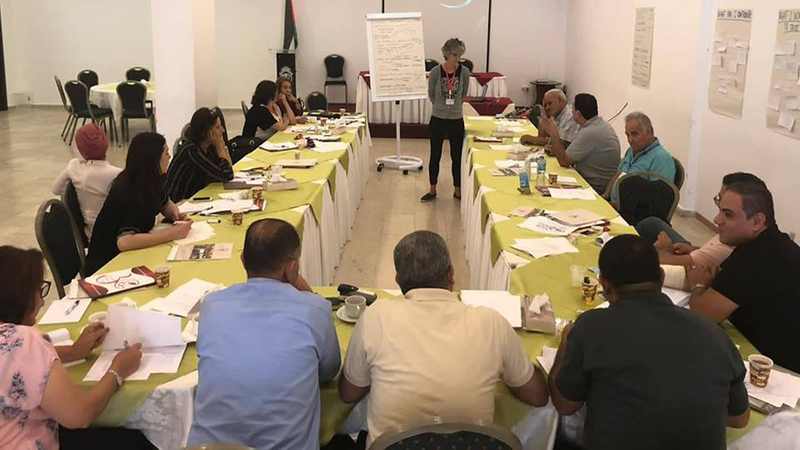 The Health Work Committees and the People's Health Movement, supported by the Consulate General of Sweden-Jerusalem, concluded a two-day training workshop in Ramallah on the role of social movements in promoting and advocating for the right to health. The workshop was part of the vision of HWC to adopt an applied approach in advocating and developing levels of community participation that supports the health rights of different groups, especially marginalized areas and groups. The workshop was facilitated by the Italian Expert Dr. Chiara Bodini, co-chair of the People’s health movement (PHM) and its coordinator in Europe. Dr. Chiara worked during the two days to strengthen the analysis and participation tools of participants in the training under the principles of the People's Health Movement, as well as to promote a wider community participation in health issues that are a priority for social change. As well as raising participants' awareness of local and global approaches used in the defense of the right to health and the simulation of networking and social mobility tools through the social determinants of health. The expertise and specialties of the participants in the training workshop varied from the three organizations where a group of doctors, nurses, intellectuals, researchers in the health and development fields and human rights, as well as directors of organizations and departments, participated in the workshop. Participants interacted with each other in determining the economic, social and political effects of health, and to discuss the reality of the health sector from the perspective of social justice, and action plans on health issues and challenges. For his part, Mr Ali Hassouna, HWC’s Chairman, stressed that the workshop comes in the context of strengthening and developing the role of Palestinian organizations in the community to defend health rights and strengthening the partnership between the organizations in advocacy campaigns that defend marginalized and poor groups in the Palestinian society. Mr Hassouna asserted that ending the occupation comes through the strengthening the Palestinians and defending their dignity and health from a holistic perspective. 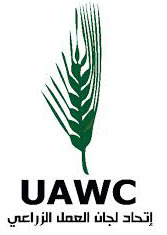 Ms Shatha Odeh, General Director of HWC, confirmed the importance of this training in enhancing the partnership among participating organizations by empowering their abilities and expertise in the field of social movements and enhancing the role of Palestinian organizations in the people's health movement. Thus, identifying the health priorities among the organizations to claim and defend these rights. As pointed out by Dr. Ibrahim Abu Ayyash, director of the health care department at HWC, said that the challenge now is to apply the experience at the level of health rights campaigns. Dr. Abu Ayyash stressed the importance of prioritizing marginalized groups to ensure improved health services and policies. In concluding the workshop, Ms Shatha Odeh expressed her thanks to all those who participated in the training and to the trainer, Dr Chiara Bodini. She emphasized that the workshop provided a broad introduction to work on important issues for health rights advocacy, and that it will act as an important step in institutionalizing and advocating for health rights and promoting partnership and cooperation among organizations.